An elastomeric roof (or cool roof) is one of the best investments you can make on your property. 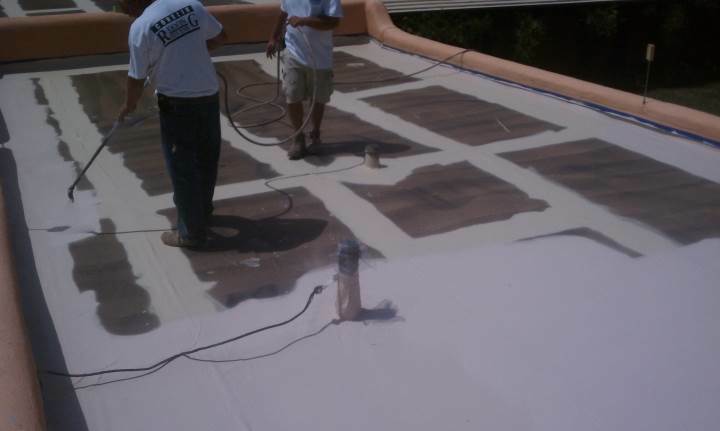 Coating your Homosassa Springs roof is the best solution if you are in need of a stronger system that will resist leads and weathering for years to come. We offer free consultations on roofing projects. Just call (352) 325-8385 today. The benefits to enhancing your Homosassa Springs roof with a cool roofing system are many. You will receive unmatched water resistance and weather resistance capabilities to your roof. The super-strong coating system will allow the entire top layer of your building the ability to expand and contract. This is beneficial because the flexibility compensates for the natural swaying and shifting that buildings constantly experience due to wind, temperature changes and settling. Our roofing experts in Homosassa Springs specialize in elastomeric roofing. Elastomeric roofs are rubber based and can be applied in most colors imaginable. Colors can also be customized to suit your specifications. Most home and business owners in Homosassa Springs choose roof coatings in white because it best reflects solar rays, making the building extremely energy efficient. The building stays cooler, reducing HVAC costs and the natural aging of the building due to the sun's powerful rays is slowed considerably.